Tagging in Southern California and Mexico shows most shark deaths are due to unintentional capture in fishing gear, highlighting the value of best practices that support protected species’ recovery. The results are published today in the Journal of Applied Ecology. 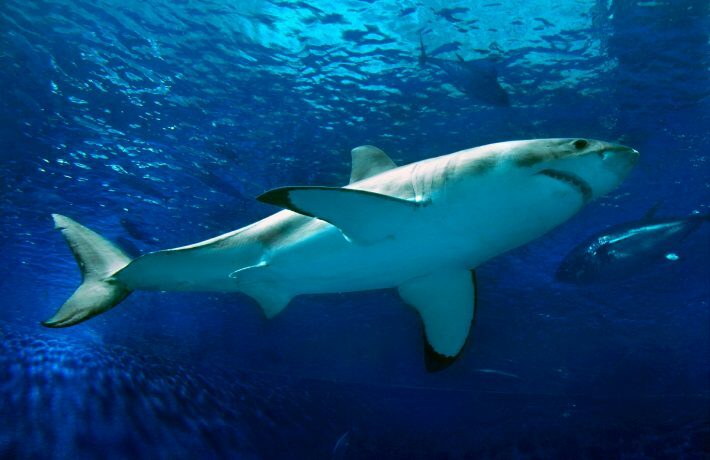 The study, “Juvenile survival, competing risks, and spatial variation in mortality risk of a marine apex predator,” published today in the Journal of Applied Ecology, confirms that unintentional capture in fishing gear (bycatch) is the greatest cause of death for young white sharks, a protected species in both Mexico and the United States. Benson, who primarily studies terrestrial predators, conducted the white shark study as a postdoctoral researcher at Monterey Bay Aquarium. 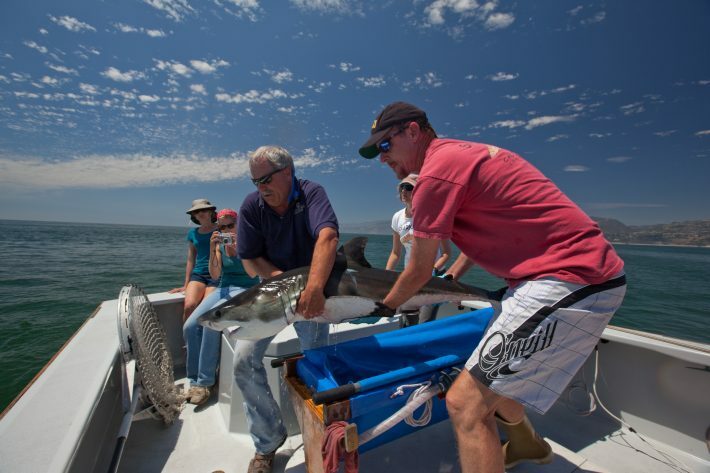 The aquarium— together with colleagues at California State University, Long Beach; Aquatic Research Consultants in San Pedro, Calif.; and the Ensenada Center for Scientific Research and Higher Education (CICESE) in Baja California—has been tagging and tracking juvenile white sharks since 2002. “Because the PAT tags record detailed data on temperature and diving, it is possible to reconstruct the fate of the shark in the final minutes of each track,” said Jorgensen. Additional information about this study and other white shark research is available on the aquarium’s Future of the Ocean blog.